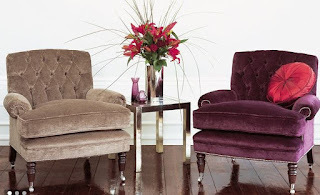 This opulent linen velvet is very hardwearing with a luxurious deep pile finish. Linwood's Bohemia range has been one of my all time favourites. 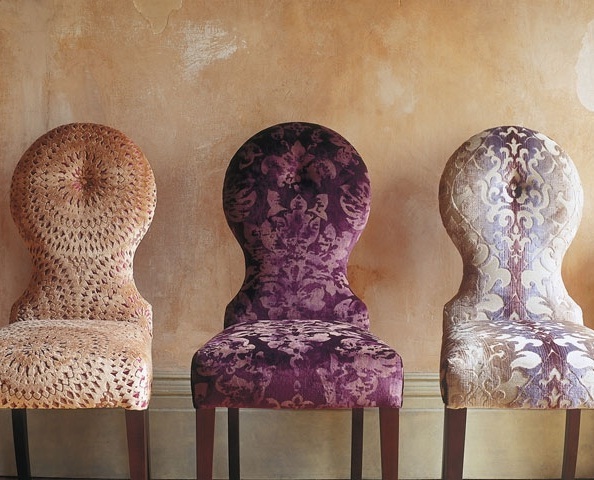 Eclectic printed velvets in a mix of viscose/ linen and viscose/ polyester- this range has 6 different designs. If looking at the patterns on the company's own website- do look at the pattern repeat. These are large scale designs. Villa Nova have some exceptional silks. The Yoshino range shown here has a mix of colours and styles that are all very complimentary- as seen by this fabulous style shot. 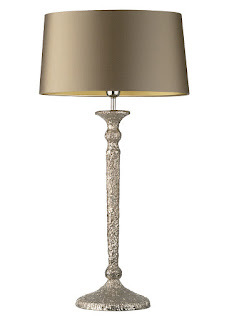 Heathfields produce a wide variety of mid range lamps and shades. This textural "volcanic" finish is available in nickel and bronze and is particulary striking. Available in 2 heights, the large lamp is 800mm tall including the beautifully made lampshade. The medium is 600mm tall.